Whether you are new a new, current, or returning student, you can use this online catalog to find information to guide you along your academic and career paths! This one-year catalog (fall 2019-summer 2020) contains a listing of programs of study, credit courses, and other important information. Although many important academic policies and procedures are contained in this catalog, it does not contain every procedure, policy, rule, and regulation that may apply to students enrolled in credit courses or programs. The college has the right to change any academic or other requirements, i.e., tuition, fees or other charges, course offerings, course content, programs, procedures, policies, rules, and regulations from time to time and without notice. Important updates will appear in forthcoming online credit schedules of classes. Students must be aware of and adhere to all program and departmental policies and procedures, even if they are not contained in this catalog. Students are also reminded that it is their responsibility to meet graduation requirements and determine course/program transferability to other institutions, even though advisors may assist. The online version of the 2019-2020 Prince George’s Community College catalog serves as the college’s official catalog and is current as of April 1, 2019. Some academic and administrative policies within the 2019-2020 catalog may be updated at a later time if and when changes are approved. Looking for a previous catalog? 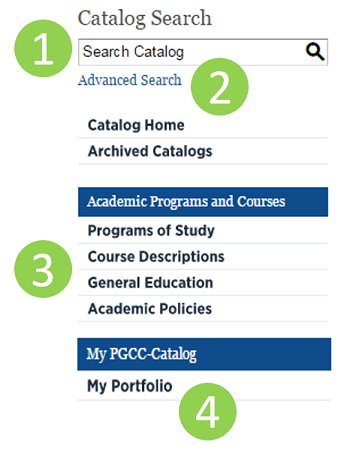 Click here to view and/or download archived printed PGCC catalogs from 2009-2010 to 2015-2016. Archived online catalogs starting from 2016-2017 can be accessed via the drop-down menu in the upper right corner. Click here to view a short video to help you get started. The Advanced Search feature helps you narrow down the content that you want. Find courses, programs, all curriculum, and other content. You can also browse content by simply selecting the links on the left navigation. The My Portfolio Tool allows you to save courses, programs, links, divisions, and past searches so that they are easy to find later. You can use any e-mail address to set up your account. Look for and click the star icon in the top section of a page that you want to save to your portfolio. A mobile version of our catalog can be viewed on your Android or Apple device. 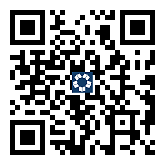 Scan the QR code to connect to the MC mobile catalog. If you don’t have QR software on your mobile device, click on the Apple App Store button or the Google Play button to the right. High resolution mobile devices, such as an iPad, will show up in the desktop version of the online catalog. Some low resolution mobile devices may show up with a mobile version of the catalog. For the best viewing experience, please access the online catalog from a desktop computer or high resolution device. On every page of the catalog there is a Help button and you may also access this guide, Supplemental FAQ Guide , for answers to common questions. For further assistance, please contact the College Information Center at InfoCenter@pgcc.edu or 301-546-7422.